Brand: ICE Marine OEM No. 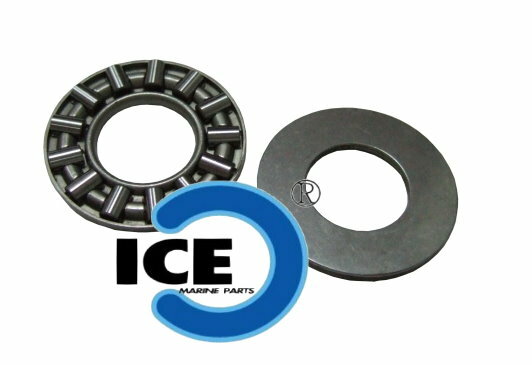 : 93341-41414-00 Item: Bearing For outboard 2 & 4 stroke 9.9 , 15 HP & 4 stroke 13.5 HP Use on: Lower Casing Drive1 PRICE >>>> PLEASE TO CONTACT US !!!! ICE Marine Industrial Co., Ltd. (Yang Xian Products Co., Ltd.) an aftermarket & exporter of marine outboard parts in the world. YAMAHA, SUZUKI, TOHATSU/NISSAN, HONDA, OMC/JOHNSON, MERCURY, MERCRUSIER, etc outboard brands. Our marine outboard parts contains crankshaft, crank pin, cylinder liner, diaphragm, fuel filter, mount damper, shaft, spacer, spark plugs, starter, gear, pinion, gasket, gasket kit, impeller, key woodruff, propeller, piston, primary pump, clutch dog , carburetor, bracket, upper casing, lower casing, repair kit, washer , bolt , pin , spring pin, pin float, tube, pipe, clamp, flywheel puller assy., fly puller plate, fly wheel plate, crankshaft holder, bevel gear nut socket, bevel gear nut wrench, needle bearing puller stopper, needle bearing puller shaft, needle bearing puller shaft guide, seal, o-ring, ball, band, cartridge, tab-trim, connector, water pump, collar, condenser, etc. http://www.suzuki-yamaha.com https://twitter.com/ICEMarine1 http://www.idealez.com/icemarine http://www.taiwantrade.com.tw/EP/icemarine/ Any inquiries, please feel free to contact us. Thank you.